Only female yellow-fever mosquitoes drink blood. They can also spread dengue fever and Zika virus. Photo by the Centers for Disease Control. Genes involved in male reproduction tend to evolve rapidly. This has been observed in many different species and is thought to be due to sexual selection as males compete over mating opportunities. But in the August issue of GENETICS, Whittle and Extavour present results that flip this paradigm upside down. They find that in the yellow-fever mosquito, female-biased genes expressed in the ovaries evolve faster than their male counterparts. This fascinating break from the trend could be due to increased competition between females for mates, adaptive evolution during egg-sperm attraction, and/or limited sperm competition in this species. First, the authors identified genes more highly expressed in either male or female gonads using whole transcriptome data. They found that ovarian-biased expression was typically due to elevated expression in females, not just reduced expression in males as has been observed in other species. They then identified nucleotide changes that altered the protein composition in these genes to compare the rates of protein evolution. Although a small subset of testis-biased genes were evolving rapidly, on average transcripts with ovary-biased expression showed a significantly higher protein evolution rate than those with testis-biased expression. Genes expressed only in the ovaries had the fastest protein evolution rate of all. 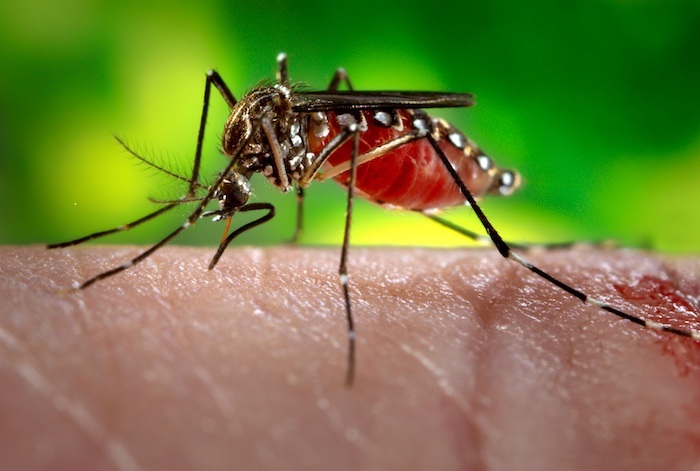 They determined that the rapid evolution of some of these genes is most likely due to positive selection using a phylogenetic analysis including two other mosquito species. Interestingly, members of this set of rapidly-evolving, ovary-specific genes have functions preferentially related to the mosquito’s olfactory system, including odor molecule binding and smell receptor activity. Olfactory signaling appears to be important for mosquito mating; groups of males will gather together and swarm females, who are lured over by their scent. These types of chemical cues may also be important for guiding the sperm to the egg or directing females to store sperm after mating. Like some other insects, female mosquitoes have special storage organs that allow them to keep enough sperm from a single mating to fertilize all their eggs throughout their entire lives. There may be strong selective pressure on proteins that drive evolution of these critical reproductive functions. The yellow-fever mosquito’s mating system is likely behind its unusual rapid evolution of ovary-biased genes. There might be competition between females to attract males or male mate choice, which could result in strong sexual selection on ovary-expressed genes involved in chemical sensing. These females usually mate once, and the male deposits a “copulation plug” in the female’s reproductive tract. This physical and chemical barrier prevents the sperm of another male from passing through, ensuring the first male will father all her offspring. The plug cuts off nearly any chance of competition between the sperm of multiple males, in contrast to many other organisms where the rapid evolution of testis-biased genes could be due to the pressure of this sperm competition arms race. A combination of these diverse factors likely influences the rapid protein evolution of ovary-biased genes in yellow-fever mosquitoes. These results offer a fascinating glimpse into how ecology and reproductive lifestyle can affect genome evolution and illustrate how there are notable exceptions for every trend observed in nature.